From its inception as the UEFA Champions League in 1992-93 season, Europe's Premier competition saw every of its defending champions failing to defend their crown. Many Champions have reached successive finals but their dream have been brutaly shattered every time. Milan, Juventus and Manchester United were the ones who came close to defending their crown but failed at the final. Other were much luckier seeing their dreams dashed much earlier. The latest entrant is our beloved FC Barcelona who failed to defend their crown falling to Inter Milan in the semi-final. Many Football pundits have already developed a habit of discounding the defending champions from retaining their crown, especially the once who give betting advice. They fondly call it the "The Curse of the Defending Champions".The European Cup after getting re-christened as UEFA Champions League have undergone a great deal of change and have emerged into the current format in the year 2003-04, when FC Porto emerged the winners. Barca vs Inter Milan, Where it went Wrong? Now with Barca eliminated, the time has come to do a post-mortem of the tie. Does it serve any purpose? I don't know but still we needed to see what all things went wrong. As I said in my FC Barcelona vs Inter Milan Match Report, the semi-final tie was made difficult by Barca's incompetent performance at the San Siro. The truth was that FC Barcelona with the players and the coach were complacent on the night and that resulted in our semi-final exit. It is not the first time this is happening in this season and Guardiola definitely has to take a huge part of the blame. The Copa Del Rey exit also was due to the above mentioned reason. In that match we failed to recognise the danger a very gritty Sevilla side could pose at home. No realising that danger, Guardiola send in a side with most of the stars missing in the crucial home leg. We never were able to repair the damage done in the home leg. A closer look at the Champions League semi-final defeat also gives you the same picture. Guardiola failed to understand the advantage Barca had in playing at home in second leg. Instead for looking for a 1-0 or a 1-1 draw we went for the kill and got killed. FC Barcelona's dream came of defending their Champions League crown at the home of their rivals came to an end after being knocked out byt Italian Champion Inter Milan. Inter Milan, who were reduced to 10 men for almost an hour following the dismissal of Motta, held firm in defense. FC Barcelona's attack struggled to find a way past the dodged defense of Inter for most of the match. The last ten minutes lived to the expectation where we had Pique scoring an absolutely brilliant goal, Bojan missing a sitting header before and also had a disallowed goal from Bojan. The disallowed goal was a bit harsh and if that had stood we would have been heading to Bernabeu now. In the build up to the match I argued about the importance of deploying a 4-2-3-1 formation, FC Barcelona vs Inter Milan Preview. But Guardiola stuck to the 4-3-3 formatuion and against my wish he also started with Ibraahimovic. But there were quite some surprises in the starting eleven. We saw a new central defensive pairing last night, with Toure and Pique playing at the heart of defense. Milito played the left back role while Alves was in his ususal right back role. The midfield had Busquets, Keita and Xavi. Messi and Pedro completed the attacking line up with Ibrahimovic. So, the stage is set of this all conquering FC Barcelona side to overcome one of the biggest challenges in last two years. After losing the first leg away 3-1 at San Siro, FC Barcelona have to do it all at Nou Camp now. A failure to do that will see the dream of retaining the Champions league crown at our rivals home ending. Many have pointed out that we need a miracle to go through to the final, but for me that is more of an exaggeration. What we really need is a solid, compact and a determined performance and we could be heading to Bernabeu. The last time Inter Milan visited Camp Nou we ended up winning the match comfortably - FC Barcelona - 2, Inter -0 . A repeat of the same performance will see us comfortably through to the final and that is the reason why I emphasized on a good compact performance rather than a miracle. No way this is going to be easy, but this FC Barcelona side has the talent to achieve that result even with the absence of Iniesta. FC Barcelona got back to winning ways with a nervous 3 - 1 win over bottom placed Xerez. It was not all comfortable aw was expected, Xerez did cause some nervous moments for our defense. In the end we took most of our chances, while they didn't and that showed in the scoreline. Real Madrid meanwhile won their match against Zaragoza to cut the lead on top back to one point. In last season Real Madrid were blown apart after the 6-2 drubbing, but this season they are still looking solid and will give us a huge challenge towards the end. This was one those rare night when all of our attacking players (who started the match) ended up in the scoresheet. Guardiola decided to give a number of regular starters some rest. Messi, Pique, Milito, Pedro and Busquets all started on the bench. The defense had Puyol, Marquez, Chygrinskiy and Maxwell. Toure, Xavi and Keita made up the midfield. Ibrahimovic, Henry and Jeffren formed the attacking line-up. The coming ten days could be the most vital days in FC Barcelona's success of this season. After the 3-1 loss at San Siro, Barca will be looking to get back on track with an emphatic win against bottom placed Xerez. It is impossible to prepare for this match without focusing on Wednesday's match against Inter Milan and the visit to Villarreal after that. FC Barcelona coach has already warned everyone the danger of taking Xerez lightly. It would be a difficult task for Guardiola to make his players focus on this match, as Inter Milan clash will be dominating most of their minds. Dani Alves is suspended for this match following his red card against Espanyol, Iniesta is out injured and it looks like Abidal also will be missing from the squad after being unable to train. Guardiola has already highlighted this week as the one which will decide it all for Barca in the league and in Europe. We might see some of the regular players getting a day off tonight as for the preparation for the match against Inter Milan. Why FC Barcelona should Sign Arjen Robben instead of Ribery? In the second semi-final of this season's Champions League, Bayern Munich holds a slight upper edge after winning their first leg at home. No prize for guessing who scored the goal and who was declared the man of the match. Yes, indeed it was the Dutch star Arjen Robben, who once again overshadowed everyone in his team. It is becoming quite a habit for Robben to push this above average Bayern team to greater achievements. It was his screamer against Fiorentina, which put them into quarter final. Again against Manchester United at Old Trafford another sensational goal helped them to proceed to semi-final. Robben has once again started to show the great form and skill he showed at Chelsea. He has formed a lethal partnership with Ribery which has seen Bayern perform really well in Germany and also in Europe. Something they have failed to do in recent past. The disappointment from the thumping that Barca received from Inter has not yet subsided but still this may be the right time to see what went wrong. To list the factors which went wrong may take a bigger post, but still Barca were found completely lagging behind in all department to an ultra organised Inter Milan side. Pedro Rodriguez has acknowledged the difficulty of the challenge Barca is facing but also criticised the way referee conducted the game. Jose Mourinho immediately criticised the statement, calling Barca players as stars who cannot accept defeat. To an extent, Mourinho is right. There was a clear cut penalty chance for a challenge against Alves, but the referee was right in not giving as Alves was not looking to play the ball. Apart from that and some minor calls, the referee had a very good game. FC Barcelona was beaten truly by a good Inter side which was far superior than them on the night. I still don't understand the problem in accepting that. Another Barca player, Busquets pointed out that the scoreline was excessive, but in my opinion it was a clear reflection of the match.I doubt whether the players have lost their self belief after yesterday's thumping. FC Barcelona's dream of defending their Champions League crown at Bernabeu is in great danger after they came a cropper against a very determined Inter side. Pedro gave Barca an undeserving lead in the 19th minute but Wesley Sneigder, Maico and Milito all scored to register a comfortabale victory for Inter. In the Preview to the match, - Barca vs Inter Preview I have pointed that Guardiola has to get his tactics spot on. But it was a night were he came a distant second to "The Special One". His team's attitude throughout the match was poor and once again he had two unused substitute in a crucial match like this. Many may argue that the long bs journey took by Barca as a big factor in this disppointing performance but for me that is a silly excuse. Most of the players were sloppy, losing possession on more occasion. Even the great Xavi, who had a better night compared to his team-mates was sloppy at times in possession. I did argue a case of the 4-2-3-1 formation, as I was sure that Ibrahimovic would start; but Guardiola went with the traditional 4-3-3 formation. 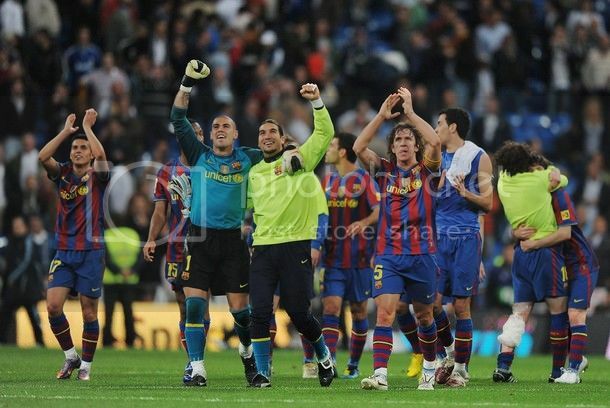 Alves, Puyol, Pique and Maxwell formed the defense in front of Valdes. Keita, Xavi and Busquets the midfield and Messi, Ibra and Pedro formed the front trio. Joan Laporta will step down as the president of FC Barcelona at the end of this seaosn. He oversaw one of the most successful period of the club, successful in all aspects. When Joan Laporta took over as Barca President in the summer of 2003, the club was lying at the sixth place in the league, missing the Champions League action and was trophyless since 1999. Coming to the end of his tenure, Barca has already won 11 trophies, has a chance to add two more and has once again the most feared and respected football club in the planet. Many may argue that Laporta was plain lucky to ovesee such a golden period. But I firmly believe that Success is a result of constant struggle, not of any accident. And Indeed Laporta struggled. Halfway through his first season, Barca lied in the mid-way position in League table. Fans were calling for the sacking of Frank Rijkaard, laporta's chosen one. Credit must be given to Laporta for continuing with Rijakaard and he soon turned the fortunes of Barca upside down. FC Barcelona took a firm step towards retaining their La Liga crown with a comfortable 3-0 victory over visiting Deportivo La Coruna side. First half goal from Bojan and two second half strikes from Pedro and Toure helped Barca increase their lead on top to six points. Real Madrid who play tonight could cut that lead back to three. Guardiola went with the 4-2-3-1 formation for this encounter. The defense had Alves, Marquez, Pique and Maxwell infront of Valdes. Xavi and Toure paired infront of the defense and infront of them Jeffren, Messi and Pedro lined up. Bojan remained ahead of Messi as a sole striker. Sometimes I feel keeping Xavi so far behind the pitch would hamper his effectiveness, but the little maestro is proving me again and again. My last post on Valdes and Spanish National Team ended with a hope that Valdes somehow manages to get into the World Cup squad. How things have changed drastically. When I wrote my previous post I was conviced that Del Bosque was never going to pick Valdes for Spain. Such has been Valdes' performance since my post, Vicente del Bosque can no longer overlook Valdes for the World Cup squad. Last week's El Clasico saw Valdes comfortably seeing off any danger from one of the most attacking teams in La Liga. Prior to that we saw some exceptionally solid acts against the likes of Arsenal and a host of Spanish side. Valdes has been always considered as an error-prone keeper, hence it is quite surprising that I can't remember the last mistake he did. Yes, he has been playing in an error-free way for some time, completely unlike the Valdes we know. Hence it is no surprise that he is leading the Zamoras list by a comfortable margin. Andres Iniesta has been ruled out of action with a calf tear in his right leg. The medical staffs have confirmed that he has suffered total rupture of the right femoral biceps muscle, and could be out for action for four weeks. With this injury Iniesta will will be missing the Champions League semi-final against Inter Milan. He is also set to miss a set of La Liga matches - Deportivo, Espanyol, Xerez, Villarreal, Tenerife and Sevilla. FC Barcelona has coped well with Iniesta's absence but against a team like Inter Milan, his service could be very crucial. Iniesta has been plagued by injuries this season and with World Cup fast approaching no one wants to take any risk. He is expected to return for Champions League final, if Barca get past Inter. Keita and Toure could be very good cover for Iniesta, but they both cannot match Iniesta for skill. Let's hope we can get past Inter without "San Andres". After the exceptional night at Bernabeu, FC Barcelona will be hosting Real Club Deportivo La Coruna at the Camp Nou on Wednesday night. The euphoria surrounding the victory at Bernebeu has not yet settled but we can expect the players not to get carried away by that win. One of the major achievement of Guardiola is the fact that he make sure that his team remains focused regardless of the surrounding hype. The last time these two teams met was at the Riazor where Barca emerged victorious - Deportivo - 1, Barca - 3. Deportivo were lying at the fifth position at that time, but they looks like been in a downhill path after that loss. Deportivo arrives at Camp Nou with a six match winless streak, losing four in a row prior to last week. FC Barcelona on the other hand is brimming with confidence after dispatcing both Arsenal and Real Madrid in pretty dominant fashion. Ibrahimovic, who missed Barca's last two match against Arsenal and Real Madrid is expected to miss this one too. He and Abidal trained seperately yesterday. Yesterday's 2-0 victory over Real Madrid is Barca's fourth consecutive Clasico win following the 4-1 disappointment at Bernebeu two seasons ago. That statistics alone shows the difference in quality between these two sides at this moment. This FC Barcelona is considered as one of the best in the history, made up of stars coming out of Barca's youth academy. It is ironic that yesterday's two goal scorers were product of Barca's youth academy and the assist to both the goals came from Xavi, another La Masia veteran. In contrast Real Madrid was trying to buy their way into greatness. This Real Madrid, one of the most talented side in recent past has been assembled at a cost of over 300 million dollars. Florentino Pérez's neo-Galactico policy has failed to guarantee victory over their arch-rivals and also demands a bit of introspection from the Chairman about his methods. But as we all know Perez is not a man who is going to change due to pressure. What we will see this summer is another spending spree, already there are a number of big names in which Madrid is interested - Rooney, Gerrard etc. Returning back to yesterday's game, what we saw was nowhere near a classic Clasico. It resembled at times a clash between two top English teams rather with chances at premium. In the end the quality of talents Barca possess and the fact that their team looked a more compact was the difference in the game. FC Barcelona returned with a win from Camp Nou for the second time in a row. Last season we saw the 6-2 humilation of Madrid, but this time it was far from a humiliation but still a solid performance. Some quarters of media will potray it still as a humiliation as FC Barcelona never had to play at their best to beat this team in white, who were assembled at a cost of more that 250 million. Lionel Messi fired FC Barcelona into the lead in the 33rd minute and the new kid on the block Pedro Rodriguez scored the second to complete the scoreline. With this win Barca not only broke Real Madrid's cent percent home record but also leaped past them in the League table by three points. With seven more games to be played, there is all still left in the league to play, but no one can deny that Barca has serious momentum on their side. Guardiola employed a 4-1-2-3 formation. But the personals used in the formation surprised many. The defense had Puyol playing the right back role, Milito and Pique playing thye centre back role and Maxwell playing the left back. Busquest remained above the defense in the defensive midfielder role. Xavi and Keita formed the lower midfield behind the trio of Alves, Messi and Pedro. This was the first time we saw Alves being used as a pure attacking option. It's again that time of the year when the entire footballing world's attention moves to Spain. Yup, it's the time for the second edition of "El Clasico" of this season's La Liga campaign. The last time when FC Barcelona met Real Madrid, the host emerged victorious at Camp Nou thanks to a goal from Zlatan Ibrahimovic - Ibra Scores In Clasico Debut . Ibrahimovic is set to miss tomorrow night's encounter. Last time Barca's visit to Santiago Bernabeu ended with a huge thrashing of Real Madrid, something every Blaugrana fan savour till date. Find the report of that match here - FC Barcelona Thrashes Real Madrid. Even though Ibrahimovic is missing from the squad, Barca has every one of their goal scorers from last season's visit to Bernabeu available for selection. The squad announced by Guardiola is - Valdés, Pinto, Piqué, Puyol, Alves, Milito, Márquez, Maxwell, Chygrynskiy, Touré, Keita, Sergio, Xavi, Iniesta, Jeffren, Messi, Henry, Pedro, Bojan. This match is billed as a clash between the most beautiful attack versus the most costly attacks in the world. This match could be a turning point in deciding this season's winner. Even though a defeat will not cut down any teams chances as there are seven more matches to be played, but it cannot be denied that the winning team will have serious momentum on their side. With the demolition of a young Arsenal side, FC Barcelona have booked another meeting with Inter Milan. Both these teams have met earlier in the Group stage of Champions league. The first match at the San Siro ended in a draw and the return leg at Camp Nou ended in a comfortable 2-0 victory fo the Blaugrana. FC Barcelona definitely established their supriority over Inter in those two matches. The first encounter at the San Siro was a dissappointment in the sense that after having so many chances, we could only get a point out of that match. The second leg saw Barca comfortably beating Inter with Messi and Ibrahimovic both on the bench. A quick look at the encounters will give a picture of a lacklustre Inter attck struggling against Barca. So, many Barca fans would be over joyed to see Inter Milan as the opponent and would be hoping for a cake walk against the Italian champions. But this Inter side, which booked the semi-final clash has improved by miles from that dissappointing result. The World is slowly coming to terms to what they saw last night at the Camp Nou. The appreciations are pouring on Barca's No.10 from all directions. After the hat-trick against Zaragoza, media houses based on Barcelona were struggling to find adjectives to describe what they saw. 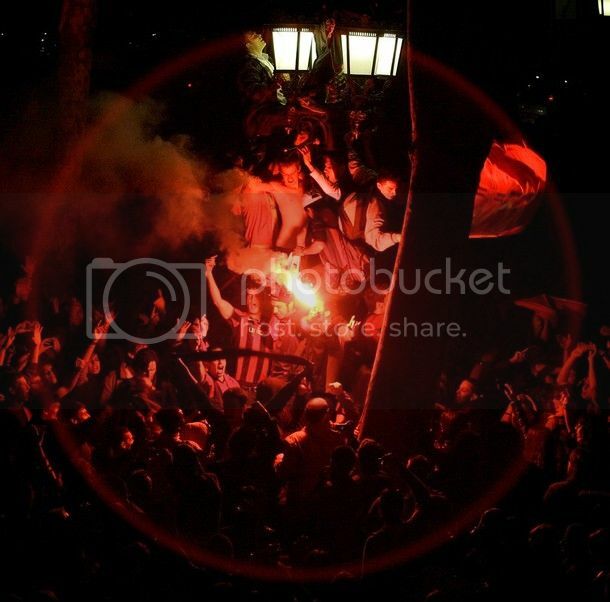 But last night that feeling spread to all over the planet, especially to England. Following the Zaragoza match I wrote an article about the hottest topic of Maradona vs Messi Debate, in that I pointed that after the successive hat-tricks even Madrid based Media houses were forced to feature Messi's heroics on front page, eventhough they could only figure him on a small corner. After yesterday's destruction of Arsenal FC, Marca featured "The Little Messiah" on the front cover asking the million dollar question - "How Are We Going To Stop Him?". The English based media always has a reluctance to recognize the superiority of Lionel Messi. But such was the effect of yesterday's demolition that all of the English press is still continuing singing praises to Messi. I am not going to write anything special here but just going to post some pics which I found around the internet. The best article I found on the net is this beautiful article written by Sid Lowe on Guardian - Spain Hails The Messiah. Do not miss that. If that article was all about the World's reaction to Messi's brilliance, find the best match reporting here by Dominic Fifield on the Guardian Messi Destroys Arsenal. FC Barcelona booked their place in this season's UEFA Champions League Semi-Final against Inter Milan with a convincing 4-1 defeat of Arsenal at Camp Nou. Once again it was the night of the "Little Magician" from Rosario - Lionel Messi, who scored all the four goals for Barca. Arsenal took the lead with a goal from Bendtner, but was unprepared for what Messi had in hand for them. In the end it was yet another beautiful match between two of the most attractive sides in World football at this moment. Guardiola employed a 4-1-2-3 formation. I have to admit that I was quite worried about our full-backs getting exposed. As predicted by myself in the FC Barcelona vs Arsenal Preview, Marquez and Milito started in the centre of defense. Abidal was back doing his duty as a full back along with Alves. In front of the defense Busquets held the role of defensive midfielder. The midfield had Xavi and Keita in a narrow formation. And the attacking line-up had Bojan on the left, Messi on centre and Pedro on the right. Actually Messi sat a bit behind Pedro and Bojan. FC Barcelona moved back to the top of La Liga witha 4-1 win against Athletic Bilbao and will remain there for atleast 24 hours. Bojan who started in place of Ibrahimovic, who got injured in warm-up scored twice and Messi and Jeffren scored one each for Barca. Susaeta scored the consolation goal for Athletic Bilbao. This victory is more sweet considering that many of the regular starters were rested for this encounter and still Barca was able to dominate the game. I have criticised Guardiola's strange tactics many times and this match also I was clueless when I saw Chygrynskiy and Pique in the centre of defense. Not that they did a bad job, but with Chygrynskiy unavailable for Europe, it was stupidity not to give Marquez some playing time. Puyol and Abidal as expected played the full back roles. Guardiola once again adopted the 4-2-3-1 formation, which was very efefctive against Athletic. Toure and Busquets played the pivot roles behind the midfield made up of Jeffren, Messi and Maxwell. That was the first time Maxwell played in midfield and showed his use as a utility player. Bojan played as the striker infront of Messi. For the past few days the entire focus of FC Barcelona was on to the clash against Arsenal. Tonight the focus shifts back to the league where FC Barcelona will host sixth placed Athletic Bilbao at the Camp Nou. With such a tough title race on with Real Madrid, Barca cannot afford to relax a bit. How I wish we hadn't surrendered the healthy lead we had in the league earlier? For Barca it is also a chance to regain the focus after squandering away a 2-0 lead at the Emirates. This match is all about making a bold statement ahead of the Champions League 2nd Leg. 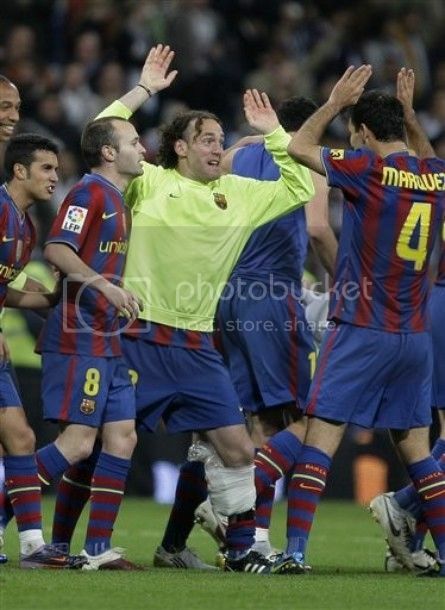 And with the Classico happening next Saturday, Barca don't want to conceded any ground to Real Madrid. Guardiola has the entire squad available to him, bar Alves and Iniesta. The former is suspended for this match after picking up a deliberate yellow card his fifth, and the latter is still recovering from injury. Meanwhile Athletic Bilbao will be without Iker Muniain, De Cerio and Pablo Orbaiz. The previous encounter between Barca and Athletic ended in a draw - Barca Drew at Athletic .